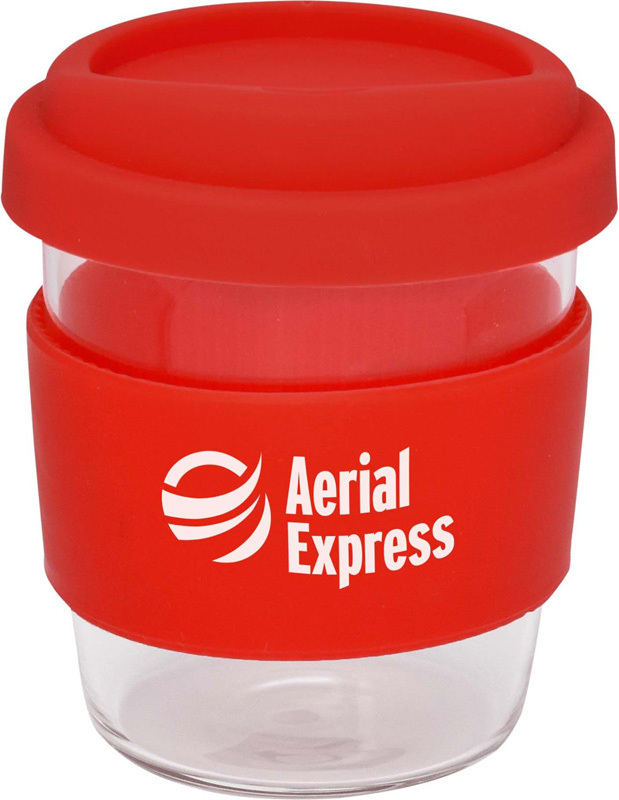 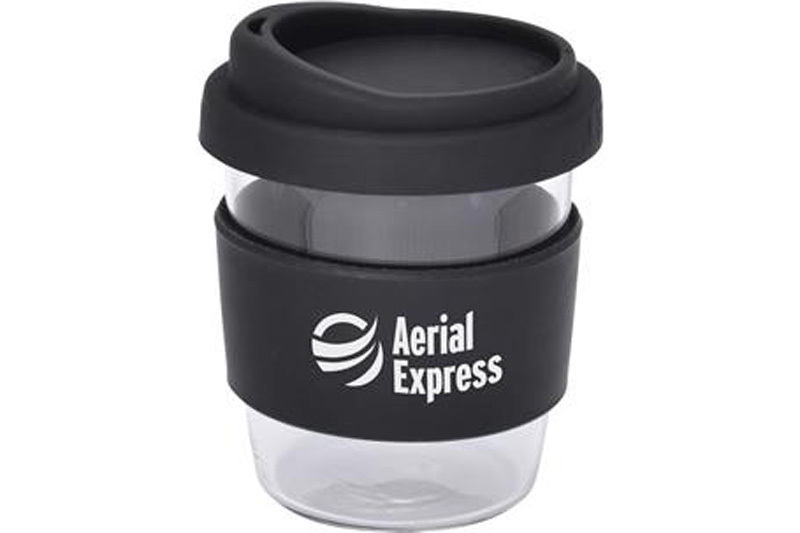 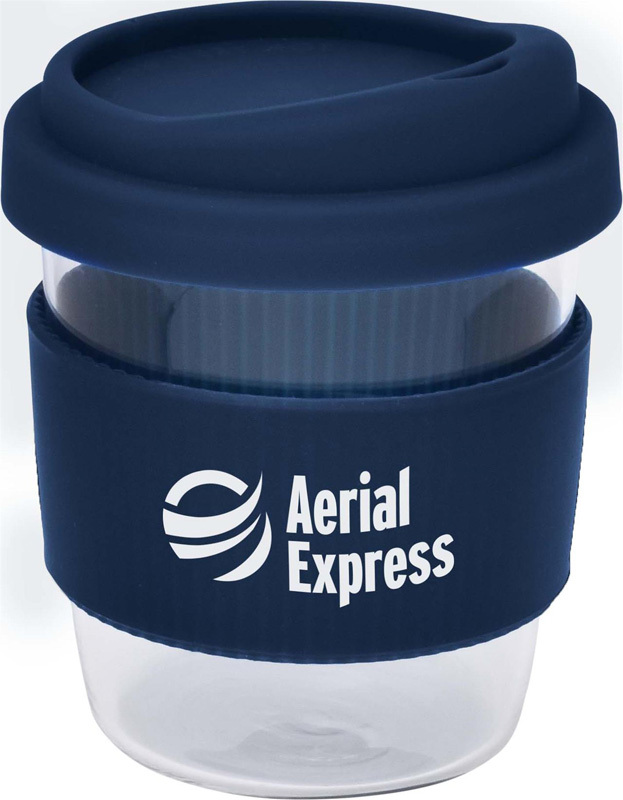 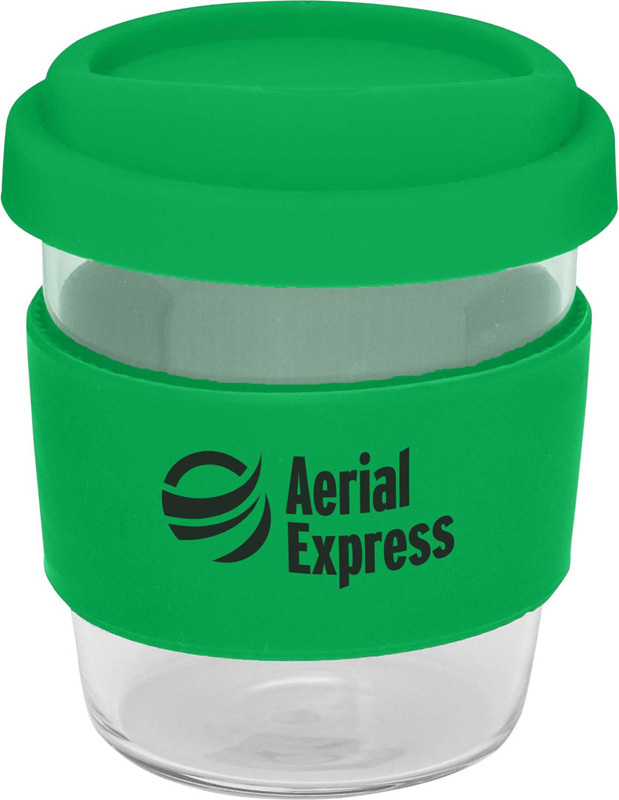 This unique promotional glass coffee cup is a retail qualety product. 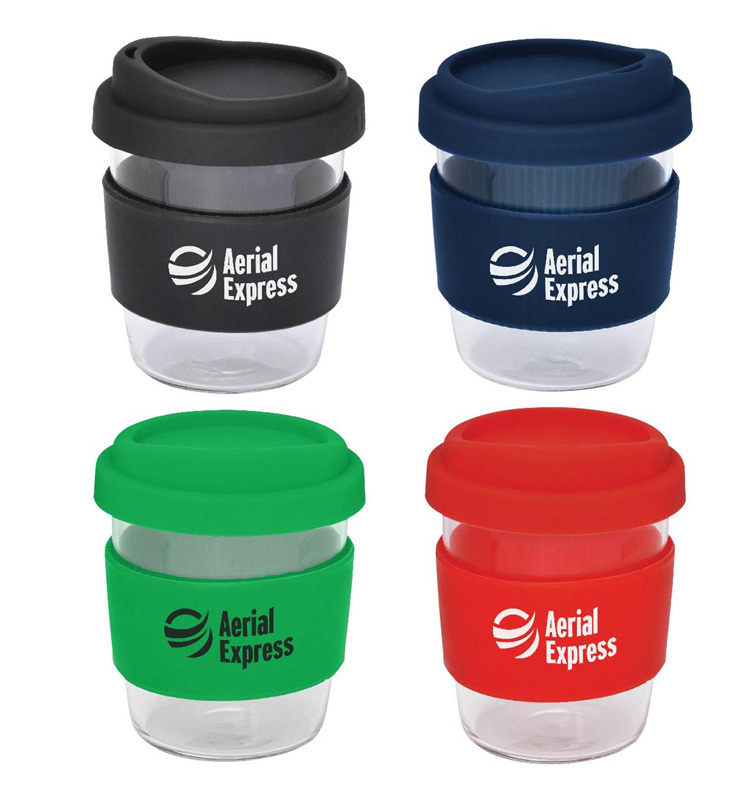 Made from quality Borosilicate Glass (which protects the mug from damage due to sudden temperature change), these eco-friendly re-usable mugs are a great alternative to the paper cup. 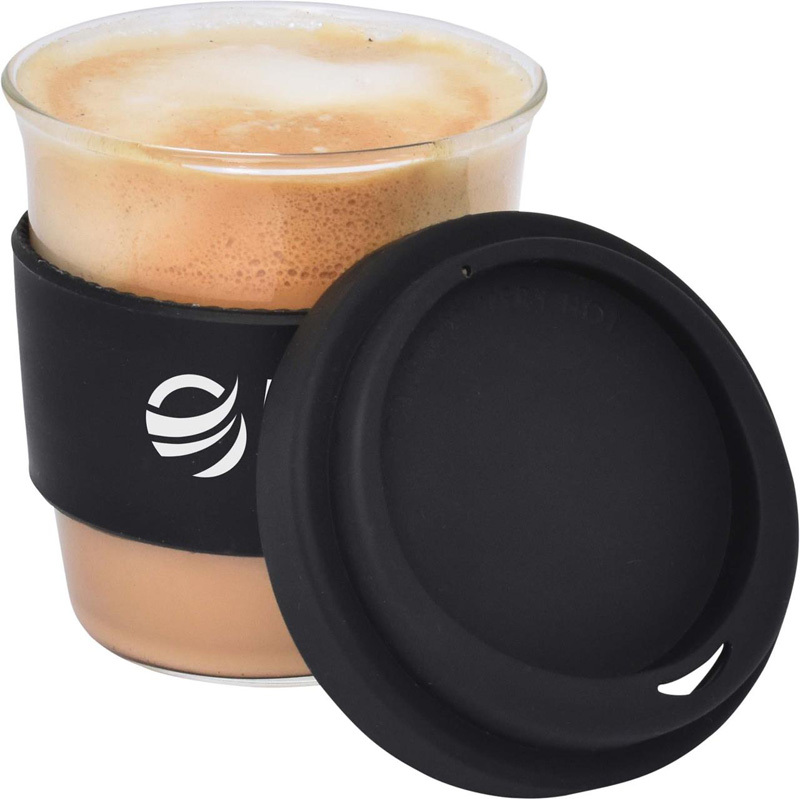 Featuring a food grade silicone lid as well as a heat resistant ridged silicone band specially designed for safe handling.